The State Government is being urged to break its silence and identify Gold Coast buildings it knows contain highly flammable cladding material linked to high-rise fires in ­Melbourne and Dubai. Brisbane compensation law expert Mark O’Connor said the state’s reported refusal to identify the buildings containing cheap Chinese-made aluminium cladding linked to high rise fires defied understanding. “The building owners and occupants deserve to know if they are living with a fire risk around them. If the State knows of buildings with flammable cladding material in them, its silence only creates a climate of fear among all high rise owners and occupants,” he said. Mr O’Connor, a Director of Brisbane law firm Bennett & Philp Lawyers, said he struggled to find a reason why the state government would refuse to publicly identify the Gold Coast buildings, reportedly investigated by the Government’s Queensland Building and Construction Commission and confirmed as containing non-compliant cladding. However the Commission has refused to identify the affected buildings or even notify the occupants of them. Last year Mr O’Connor called on the state to disclose whether any Queensland buildings had the cheap imported cladding, which does not comply with Australian standards and has been blamed for high rise fires in Australia and Dubai. Initial fears about its use in new high rise units was later expanded to public buildings too, after revelations that two Melbourne hospitals were found to have the same material used on them. 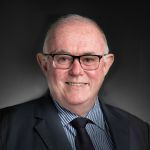 Mr O’Connor said it was time the Queensland Government allayed fears on whether any of the flammable cladding material had been used in public buildings throughout Queensland, not just the Gold Coast. “The building owners should be told so that they can ensure their fire evacuation systems are up to date. We don’t know whether these buildings are commercial or residential so the silence just creates a climate of fear among all high rise occupants,” he said. He referred to media reports in January when it was revealed the fire risk associated with external aluminium cladding was the reason for a new inner-city Brisbane high-rise to be deemed uninhabitable. The 23-storey Iglu Brisbane student accommodation building on Mary Street had been due to open in January, but was not certified safe because of issues with cladding materials used. It was subsequently cleared after an investigation by the Building and Development Resolution Committee and opened in April. Last year a $1.25 billion overhaul of ­Melbourne’s health precinct reportedly uncovered the use in two hospitals of the same type of highly flammable and non-compliant cladding that fuelled a 2014 firestorm at an apartment complex. Mr O’Connor said if any of the defective building materials were found in Queensland buildings, the building contractor would be liable for their replacement and any repairs. “But in the case of a hospital or public building the onus would be on the state government to remove the dodgy materials as soon as possible,” he said. Mr O’Connor said the Queensland government should immediately assure Queenslanders that dodgy imported building materials were not used in any state health or public buildings, and if they were used, should move urgently to replace then material with tested and guaranteed building products. “It’s not illegal to import a non-compliant building product but it is illegal to use it. Paper- based certification is unreliable and dangerous,” Mr O’Connor said. Mr O’Connor believed there should be much more rigorous testing of imported building products especially if it was suspected there were lax standards in the country of manufacture. He said there needs to be wider public awareness of the inferior building products in use around Australia and especially a focus on any tradesmen installing such products. ”If someone is looking to save some money by using cheap, untested products, then they need to know they can be held liable if the products cause injury or death,” Mr O’Connor said. However in the event of a fire, the government’s silence might not in itself make the state liable for compensation claims. He agreed with reported remarks from Australia’s peak fire safety authority that the Government is risking lives by keeping the identity of the buildings a secret. Fire Protection Association of Australia chief executive Scott Williams was reported as saying Queensland needs a review similar to that conducted in Victoria, where an audit of 170 suspect buildings revealed 51 per cent contained the flammable substance. Why Is PM Offering to Fund Farmer Lawsuits Against Animal Activists?